Wisconsin has received a boost with the return of wide receiver Danny Davis for Saturday’s game against BYU. Davis served a two-game suspension stemming from a criminal complaint from an April 22 incident. Junior receiver Quintez Cephus remains suspended from the team. But Davis’ return is a plus as he replaces redshirt sophomore Adam Krumholz on the depth chart. 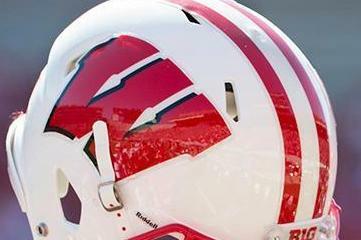 The Badgers (2-0) had a solid effort in last week’s 45-14 win over New Mexico. The Taylor and Taylor connection made big play after big play. Sophomore running back Jonathan Taylor led the way with a career-high 253 rushing yards and three touchdowns for a 7.7 yards per carry average, becoming the eighth Badger in school history to rush for over 250 yards in a game and notching his 12th 100-yard effort in 16 career games. Taylor has rushed for 150 yards six times. Junior wide receiver A.J. Taylor had five receptions for 134 yards and a touchdown. Jonathan Taylor has lost a fumble in both games this season, including one last week in the red zone. Taylor said he’s working on taking care of the ball. “That (fumble) can up from time to time, but one of the biggest things is having short-term memory,” Taylor said. “So you’ve got to kind of flush it, but get back to your fundamentals, things that you’ve learned and worked on during the week. That can tend to happen, but one of the biggest things is having short-term memory.